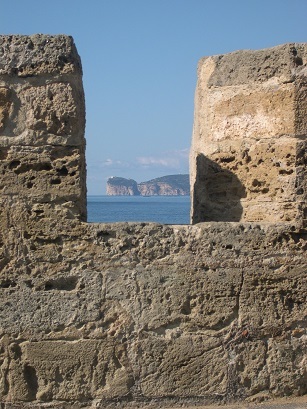 Alghero's weather is typical of the Mediterranean region; hot summers with some scorchers in July and August and some rain in November and December. In general however, the city is quite dry. As a rule of thumb, unless you just happen to be unlucky, long days of sunshine are the norm, from the beginning of May until the end of September. That said, it is not at all unusual for the good weather to stretch for a month (or two at the end) either side of that period. For example, in the latter half of November last year, apart from the odd day, temperatures were still around 24 - 25C (mid 70s). In the heat of the summer there is the occasional, violent and spectacular thunderstorm, but these are short-lived. Sardinia has more sunny days than anywhere else in Italy, averaging over 300 days per year. The weather is usually good right through from May to the end of October. Winter is mild, although the region does experience some Mistral winds which usually last for about 3 days at a time. 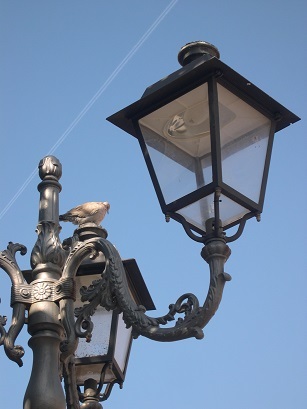 Despite the advent of low-cost airlines, which have icreased access to and the popularity of Sardinia, the island does not cater for year round tourism. 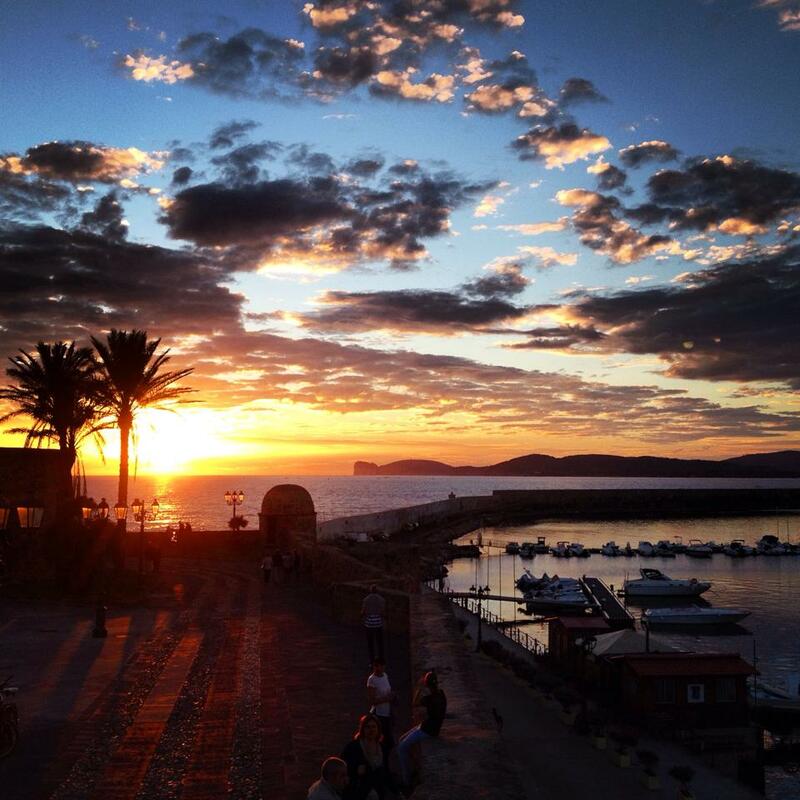 Whilst in Alghero, the season runs from May - October, almost everywhere else, it runs from June - September. In some resorts, most notably Porto Cervo, on the Costa Smeralda, everything is closed outside July - August. Potential visitors should realise that trains, buses and ferries often do not run outside High Season or run to very restricted timetables. The majority of hotels, agriturismo, B&B's and restaurants on the island are closed. To avoid disappointment and significant wasted expenditure, It is very important to ensure that transfers, and accomodation are available and confirmed prior to flights being booked. Provided that you have taken note of the advice above, the month of January is particularly interesting, owing to the "Secche di Gennaio." The Dry of January. This phenomenon occurs every year, usually in the middle of the month, when there is no rain, the weather is fine and dry and temperatures reach and even exceed 20C. The city celebrates a variety of religious festivals throughout the year and may be something to consider when planning your trip. New Year is celebrated with great enthusiasm, with a grand firework display over the harbour. One of the best festivals of summer, "FerraGosto" takes place on 15th August and has a grand display of fireworks. Immediately after, the town celebrates outdoors eating fried fish. It is a great time to mingle with tourists and locals alike. Later in the year, in November is the Festival di Santa Cecilia, a religious and music festival. April sees a truly cultural event representing its Catalan roots for the region, with the Ritta della Settimana Santa, or holy week. This is followed by more Easter celebrations that originated from the time when it was under Spain's ruling. Summer is definitely the tourist season. The warm weather promotes a hot nightlife where pubcrawling the waterfront bars and enjoying live music or just sitting in the piazzas to relax after a day in the sun, are the favorite pastimes. But, December should not be ruled out, the ancient city sees a lot of charming decorations for the Christmas season making it a fine place for midwinter's jaunt. Alghero is a town of about 50,000 that triples in summer. And 'it situated in the northwestern coast of Sardinia, and falls within the province of Sassari. Eighty kilometers of rugged coastline between ancient rocks and thirty beaches. The peculiarity of Alghero comes from the mix of tradition and Sardinian-Catalan culture that make it a city of strong character. Alghero Catalan is spoken which was introduced by the Spanish rulers in the course of over 400 years of government. Especially popular for its marine nature tours. It is also the third campus of Sardinia (after Cagliari and Sassari). Alghero is one of the main cities of Sardinia, the fifth in the region by population. It is the capital of the "Coral Coast" name given by the presence, in the waters of its harbor, the largest amount of red coral of the finest quality. Processing and sale are local economy. 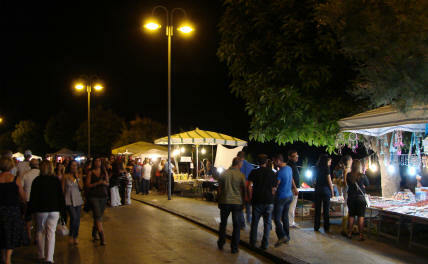 Alghero becomes culture all year round, but during the summer there are many cultural events organized by the Municipality and cultural activists. Alghero offers a wide spectrum of proposals with live performances by artists in the clubs, in the streets and during special events. Music, theater and cinema are presented with much relevance. 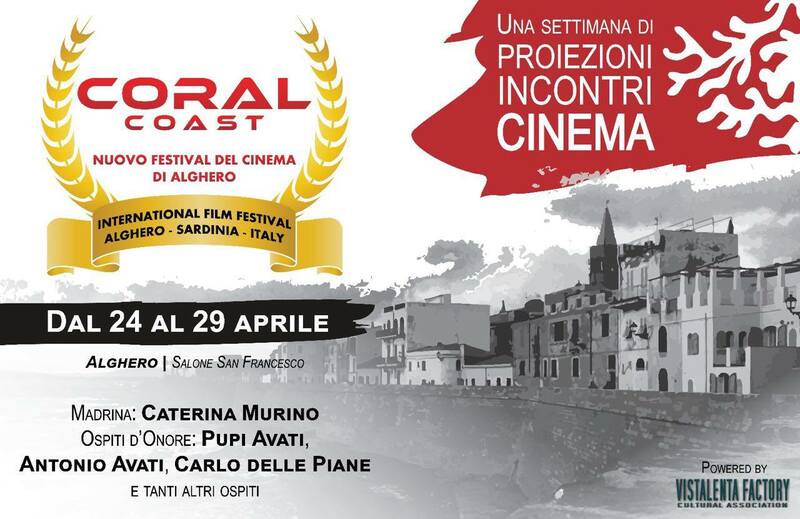 They are held in Alghero important film festivals with screenings and active participation of the public and authors. Film screenings on the beach.. The world of cinema in Alghero was present at the end of the 60 meetings with the presence of a film that brought the island the interest of the whole world, with star of the highest level including Liz Taylor and Richard Burton. Franca Masu (born 1962 in Alghero, Sardinia) is the best known singer songwriter working in the Catalan Algherese dialect. One of the most talented singers in the Mediterranean today, Franca Masu's thrilling voice first graced the jazz scene in the mid-'90's, during a concert appearance with American clarinet legend Tony Scott; Scott - who played extensively with Billie Holiday - immediately declared her "one of Italy's top vocal talents". Self-taught, Franca went on to collaborate with the crème de la crème of jazz players and the ‘Orchestra Jazz’ in her native Sardinia. An enchanting improviser of all the shades of the vocal instrument, her profound love and understanding of Mediterranean musical traditions has enriched her jazz stylings, and she has chosen to sing in the Catalan dialect of her hometown, the Sardinian seaport of Alghero. Franca Masu's first recording reveals an artist already fully formed and mature. Her CD, 'El Meu Viatge' - published by Saint Rock, produced and arranged by Mark Harris - is a brilliant fresco portraying the restless dreams, the passion, the melancholy and most secret longings of an artist who, from her beloved isle of Sardinia, shares with the world her coastal song of life, love, death... dedicated to the vast sea that pulls and pushes her along on her boundless, borderless "voyage". In 2003 she publishes “Alguímia” with the collaboration of mandolin player Mauro Palmas and double bassist Salvatore Maltana. Franca Masu consolidates the use of the Catalan language as a language of artistic expression on this album and achieves a considerable success with not only audiences, but also with critics, participating in numerous festivals and international events. For this album, she also received the “Maria Carta” award in 2004, reassuring a career which, although still young, is on the verge of bursting on to the international scene. “Aquamare” (2006) is her third and latest album with which she presents herself to the public, this time, as the author of nearly each song. Masu reveals immense versatility, bringing together an array of musical pieces which vary in style, genre, and even language. “Aquamare” is a unique interpretation, defined by a musical selection which gives in to the tempting sounds of various influences, compositions that explore new territories in sounds, preserving the pressing sense of tradition all the while. Her passionate temperament naturally led her to the Argentine tango. In 2003 she met Fausto Beccalossi, one of the most dynamic accordion players on the Italian scene; encouraging her to join Oscar del Barba’s Trio Nuevo Tango as a performer, with whom she sang on various prestigious occasions. 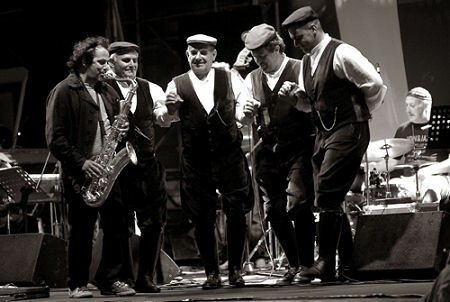 In 2008, they have recorded an album entirely dedicated to Argentine tango entitled “Hoy Como Ayer”, along with the grand violinist Carlo Cantini of the Arké String Quartet. In 2011 she publishes “10 anys”, a special live compilation recorded on various stages of the entire world that celebrates her more than ten years of career. '10 Anys' obtained 5 stars in the prestigious German magazine Jazzthetik, and reached, on January 2012, the 11th place of the WMCE’s Top 20. After this success, Franca Masu is working again at a new cd with her own compositions. With the title of "Almablava" and with the prestigious label "Harmonia Mundi / World Village", will be ready at the end of 2012. 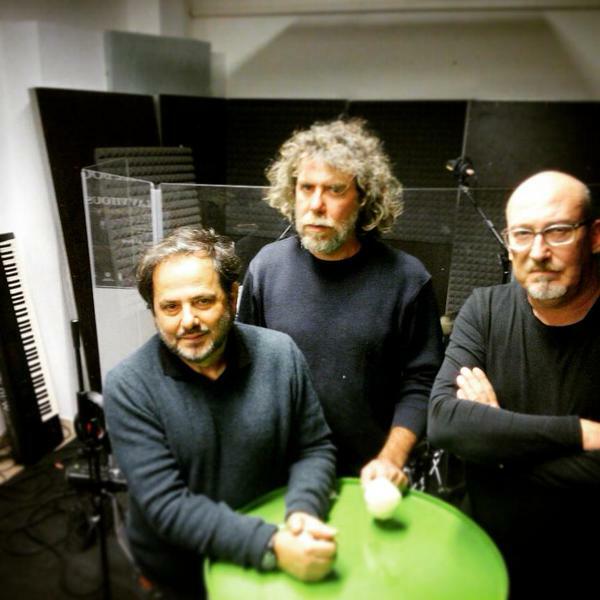 Enzo Favata is one of the most active and best known Sardinian musicians on the Italian and international music scene, having played more than 2,000 concerts the world over. His research weds tradition and modernity and ranges between different musical cultures. 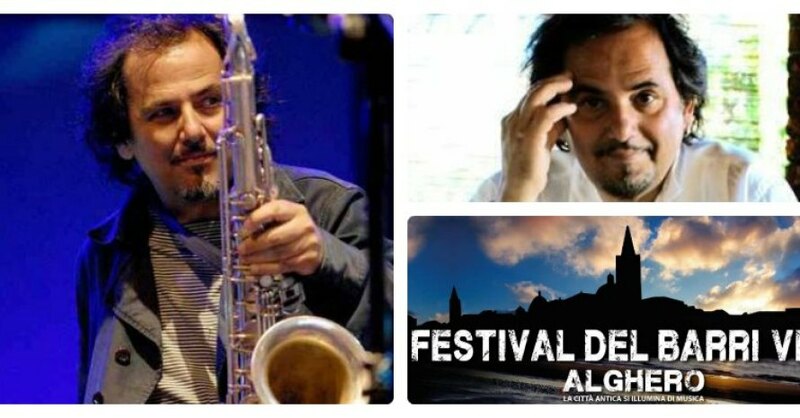 He has studied classical and jazz saxophone, plays the soprano, sopranino and tenor sax, and the bass clarinet, as well as other ethnic wind instruments, above all from Sardinia ” he is also a capable user of electronics, that he utilises together with acoustic instruments. He has played and recorded with Dino Saluzzi, Miroslav Vitous, Dave Liebman, Enrico Rava, the Art Ensemble of Chicago, Django Bates, Lester Bowie, Flavio Boltro, Michel Marre, Tenores di Bitti, and many others. His concert-playing experience was flanked by production of sound tracks, working for RAI, radio and television, dance and the theatre. He has designed and realised sound environments for museums and exhibitions. Enzo Favata’s recordings are distributed in Europe, the United States and Japan.